Welcome to Baylights by the Sea! Condo sleeps up to 4 adults. 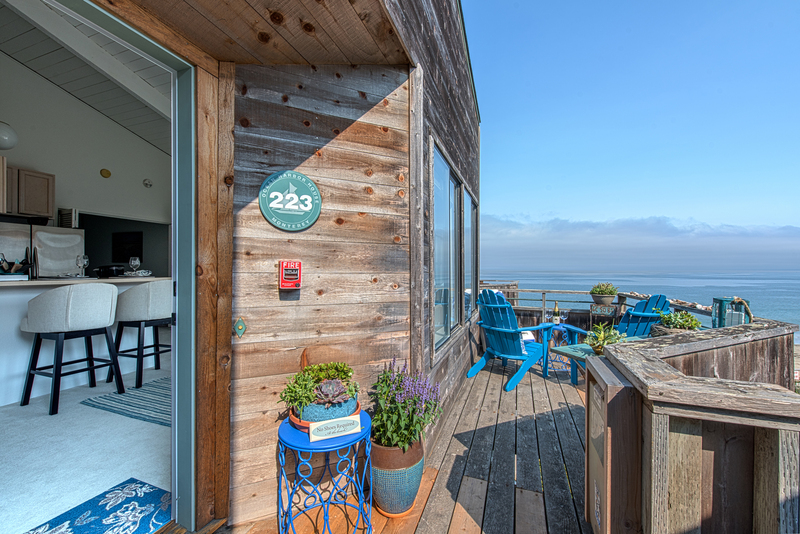 Beautiful views of Monterey Bay from a private deck and the sound of the surf in the background add to the romance of this cozy condo in Monterey. Perched up high, the views are open and spectacular. 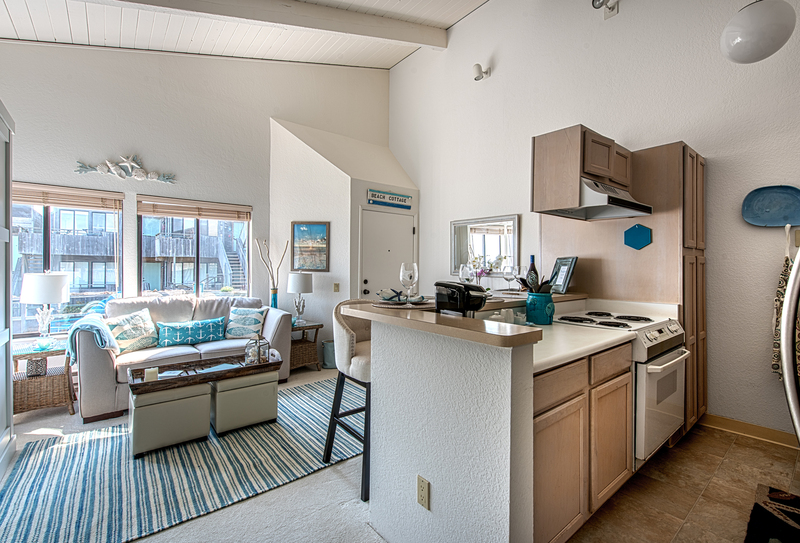 With soaring ceilings in living room and kitchen, it's light and bright. 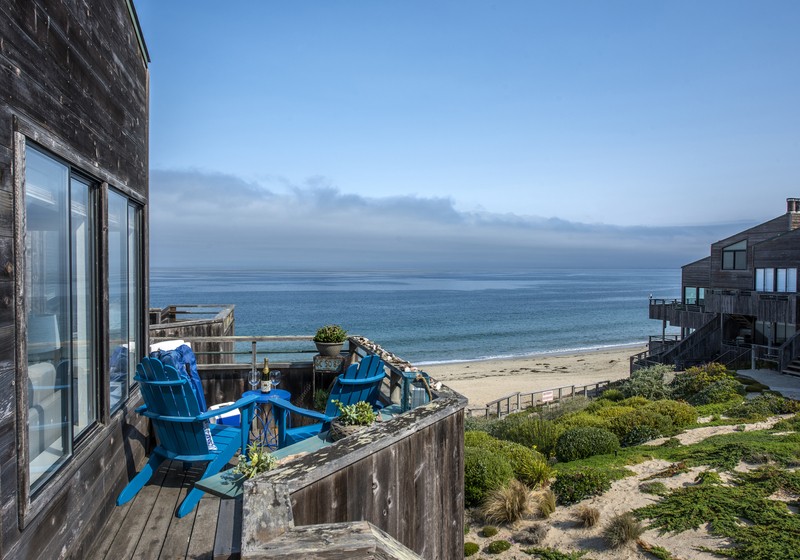 On any given day you can relax on your private deck and see dolphins near the water's edge and whales a little farther out. 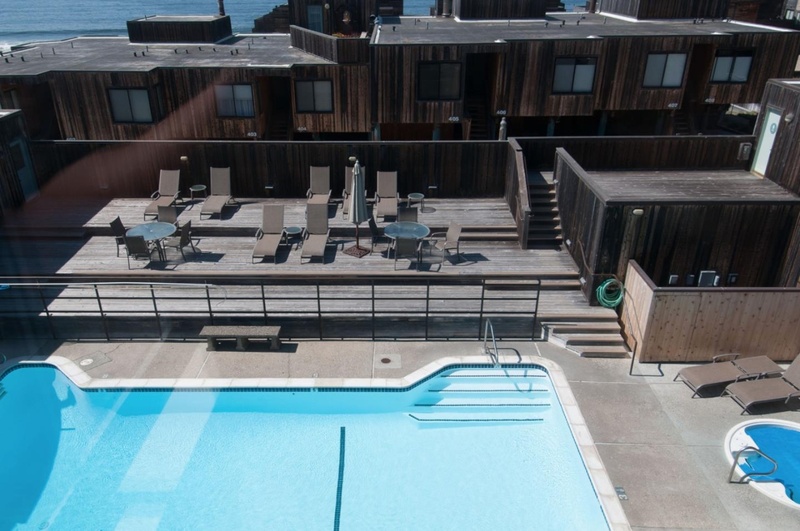 This hideaway is in an ocean-side complex just a few steps from the city’s Del Monte Beach, and is also within walking distance of the Monterey Recreation Trail that leads to Fisherman’s Wharf, making it an ideal location for active couples who are interested in hiking or biking to locations around the bay. 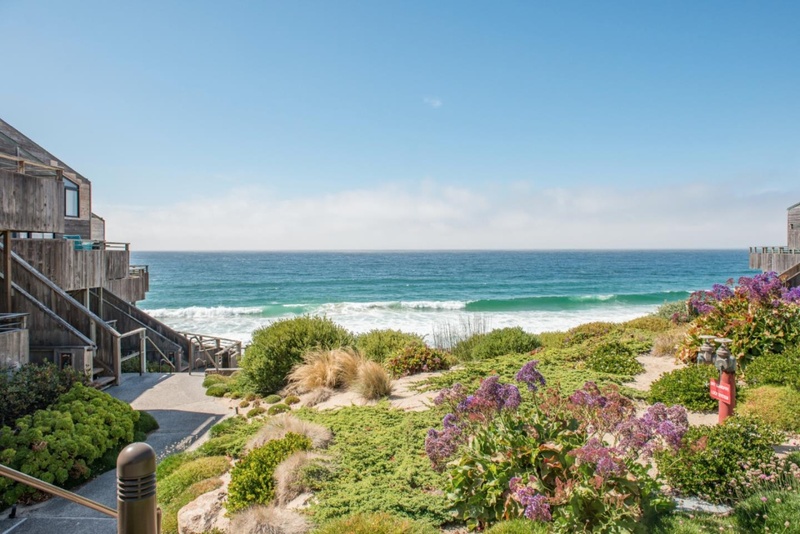 The 460sf condominium is located five minutes from downtown Monterey, and the Monterey Bay Aquarium, 10 minutes from the quaint shops of Pacific Grove, Carmel by the Sea and Carmel Valley with wineries and Big Sur are an easy drive within 45 minutes. 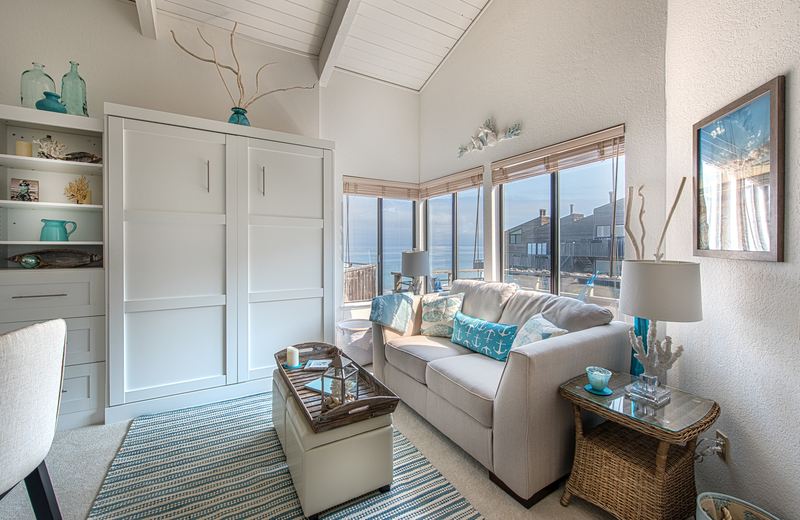 The beach is found not only within a 2 minute walk out the door, but also inside the condo, with seaside décor in calming shades of blue, white and tan, seashell motifs that's a nod to the nearby shore as well as Monterey’s long history as a shipping and fishing port. 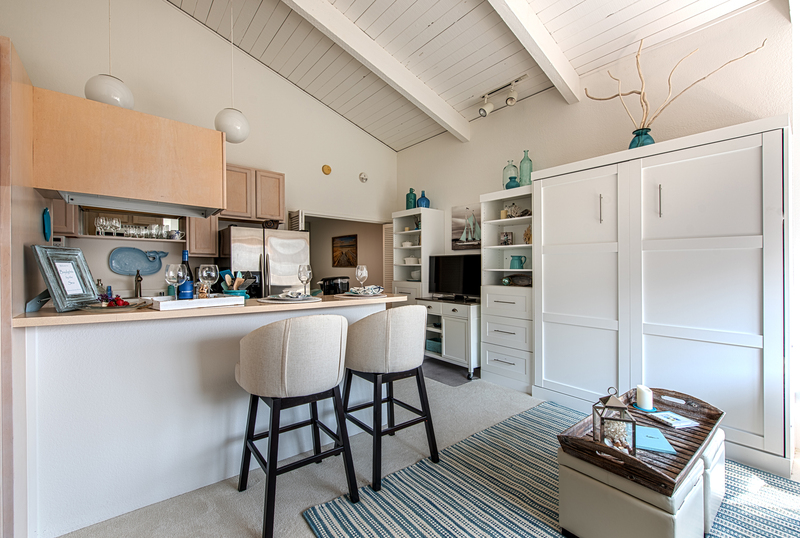 The white painted high vaulted ceilings make this condo feel spacious and there is little or no sound from neighboring units, only the sound of the ocean waves hitting the shore. 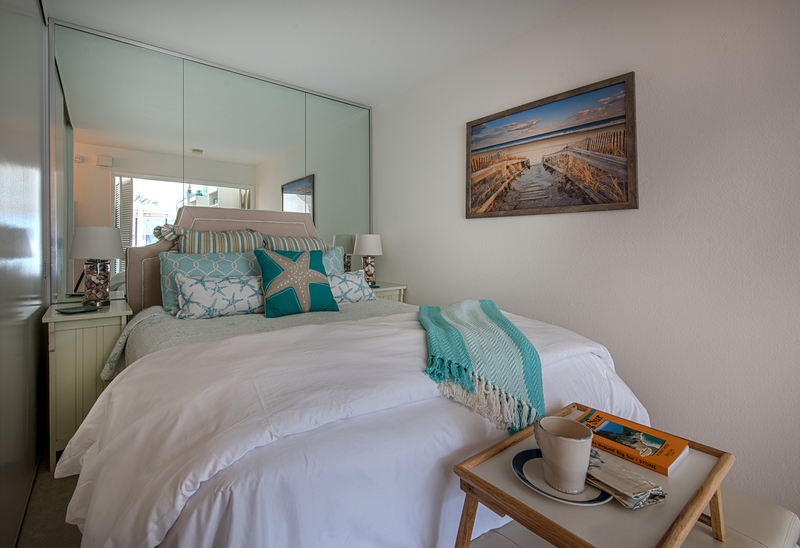 The cozy bedroom includes a luxurious queen bed with linen headboard and an aqua coverlet and white comforter. 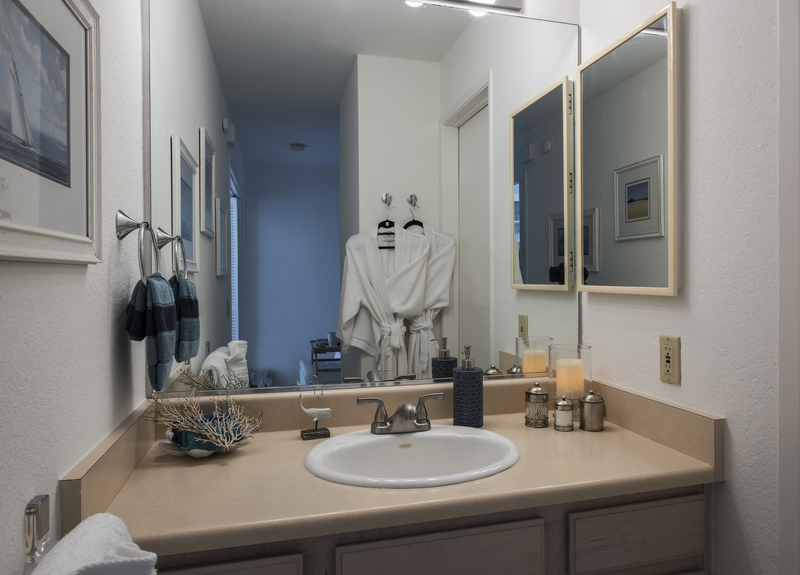 In the coastal-themed bathroom, guests will find a shower as well as separate sink dressing area. The open floor plan allows the outdoor deck, living room and kitchen to flow together. 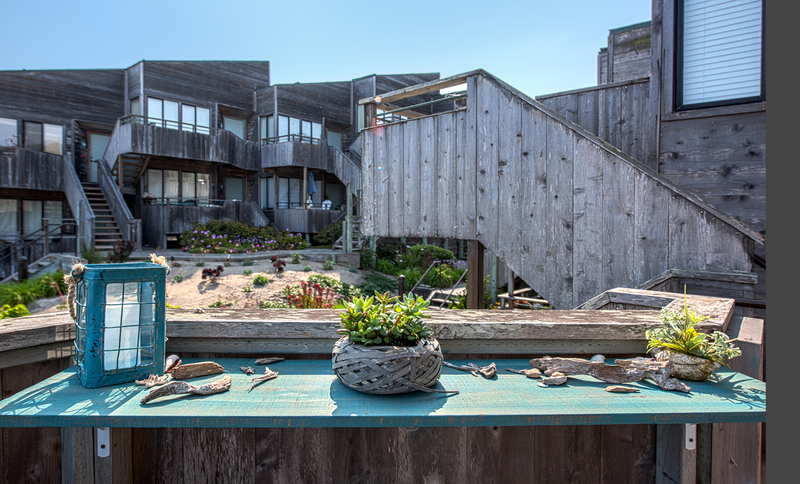 Seating for two on Adirondack chairs on the balcony offers white water views of the ocean making it the perfect place to enjoy the sunset while sipping a glass of wine, or to enjoy a cup of coffee in the morning. 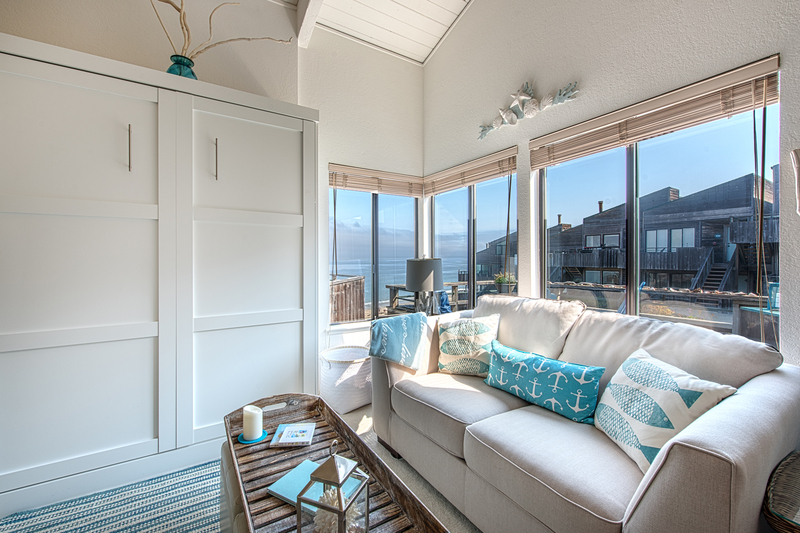 The living room includes a comfortable sand-colored love-seat set off by blue and white pillows, as well as a queen Murphy-style bed with extra storage, perfect for overnight guests. 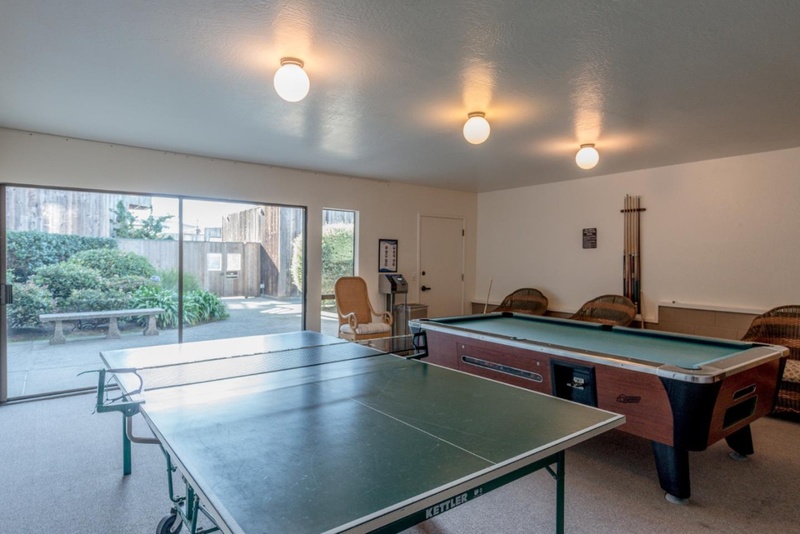 It's an ideal setting for playing board games, reading or conversation. The living room has a 46-inch HDTV with Blu-Ray DVD player and easy-care Berber carpeting. 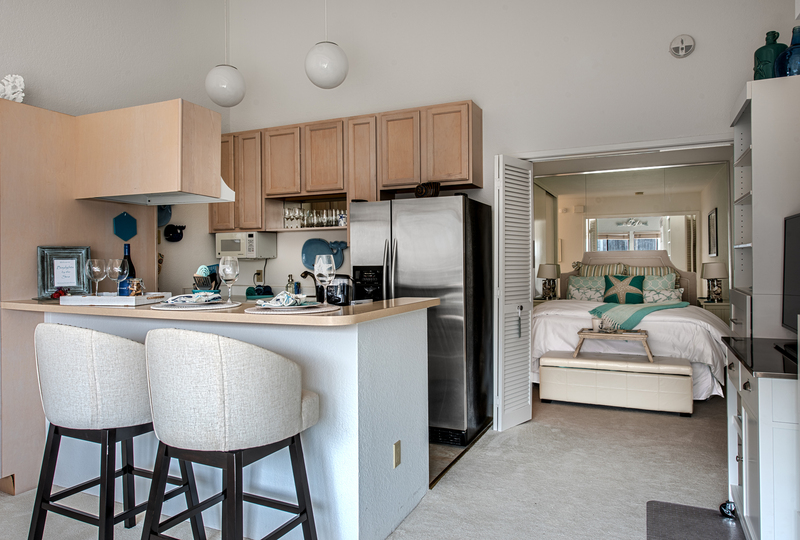 Enjoy beautiful white water views of the ocean and sunsets from the living area while enjoying an evening meal. 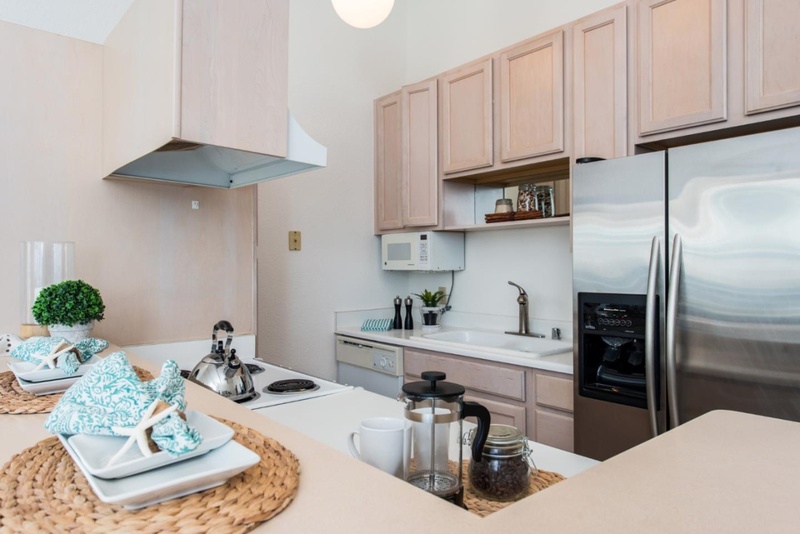 The kitchen has updated appliances - stove, microwave and refrigerator - as well as cream-colored cabinetry and a sink with a brushed nickel faucet. Adjacent counter seating for two provides a place to enjoy casual meals or to chat with the chef. There is a white fold up bistro table that can be pulled out and used either inside or outside the condo for eating and card playing. 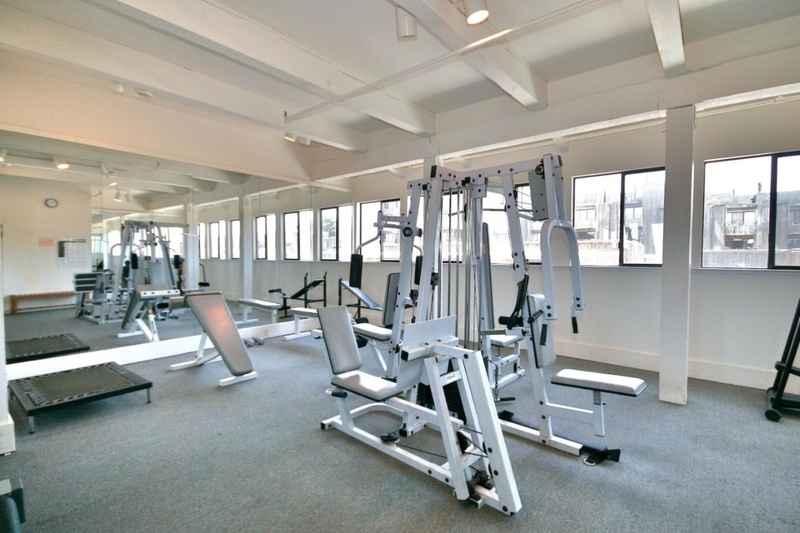 The well-maintained condominium complex offers gated parking with one designated vehicle space that is close by the unit. Street parking outside the gate may also be available. 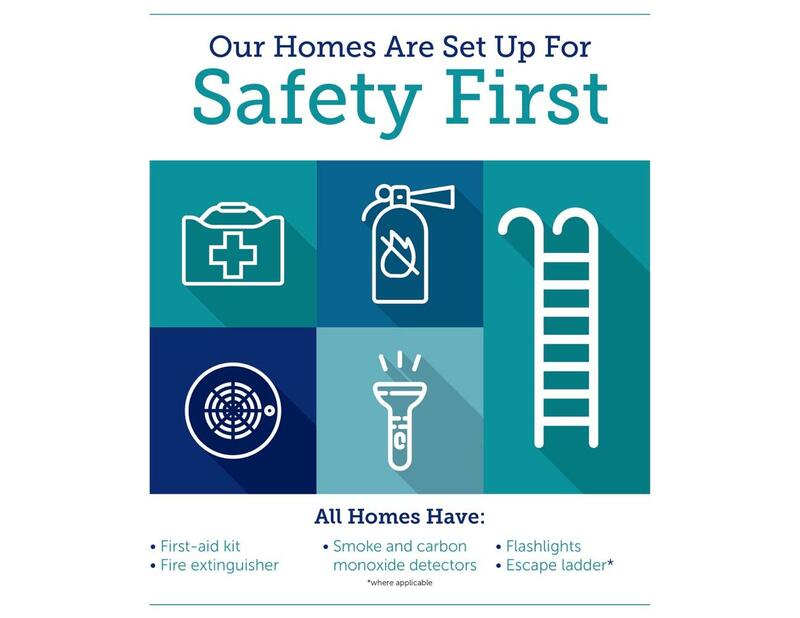 There are two outdoor swimming pools, two hot tubs and a fitness room located in the complex as well as a laundry room close by the unit. 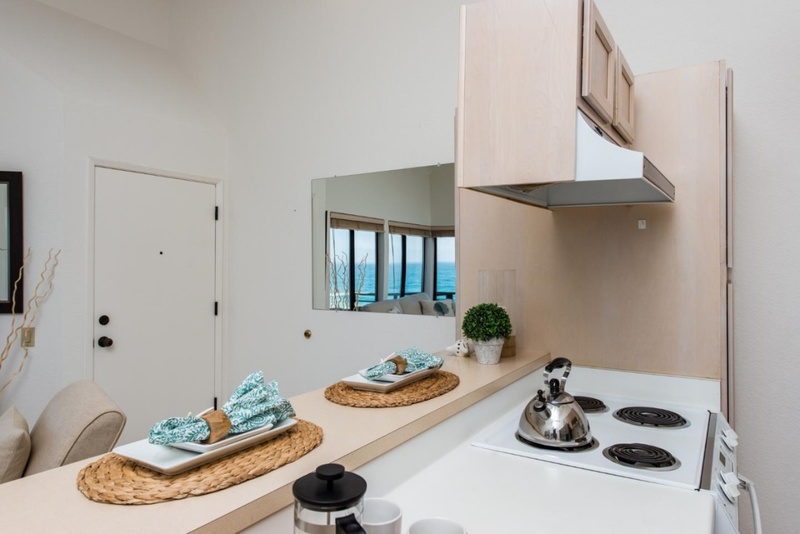 The condo is suited best for a single person, couple with occasional guests or small child.
.** This home is managed by Sanctuary Vacation Rentals. Guests stayed August 2016 ~ Reviewed on HomeAway 4 out of 5 Stars! "A perfect holiday setting. Everything in the condo is new except the appliances. 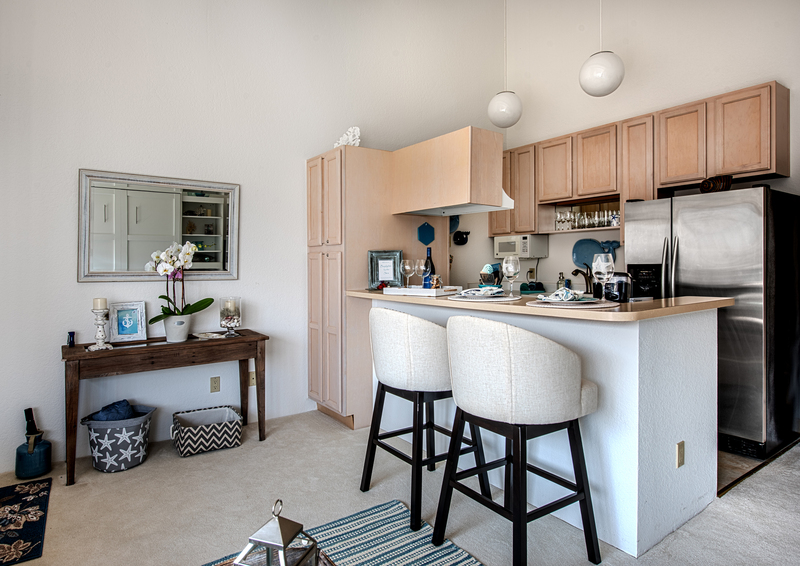 It is outfitted very well with plenty of dishes, cutlery, pots and pans and towels. It is very comfortable but a little small. 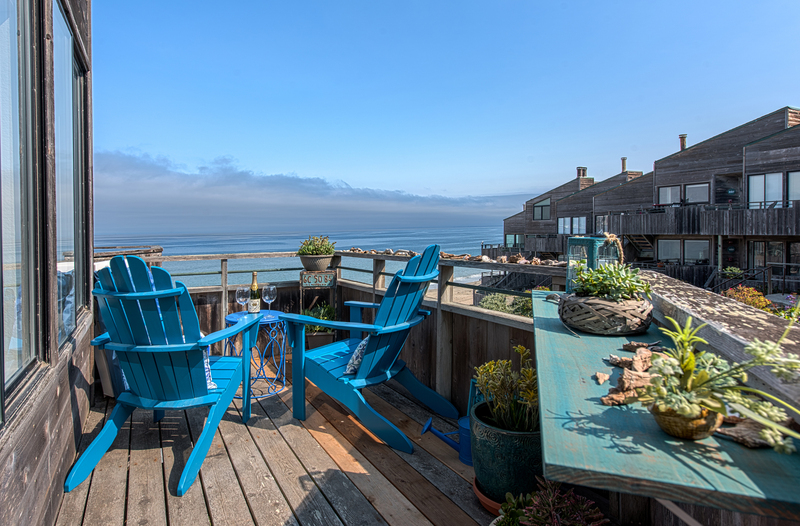 The location is great because we could see the ocean from our porch as well as the colourful shrubs. It is also close to the pool." 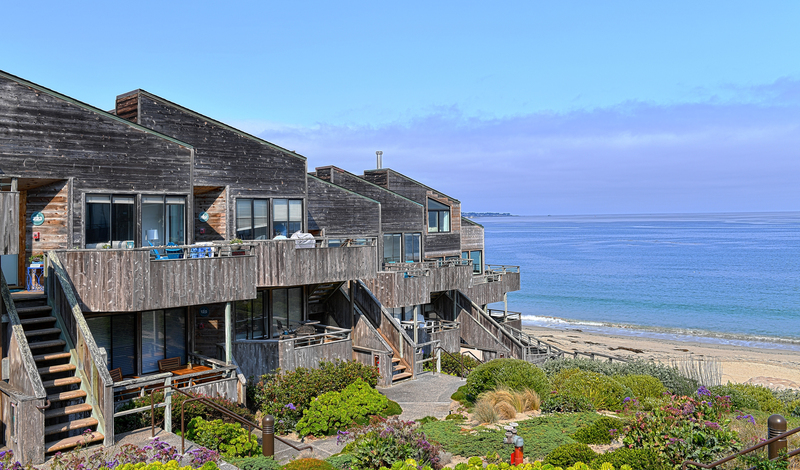 Guests stayed August 2016 ~ Reviewed on HomeAway 5 out of 5 Stars! "Absolutely perfect! I don't know where to start in describing how amazing this place is! 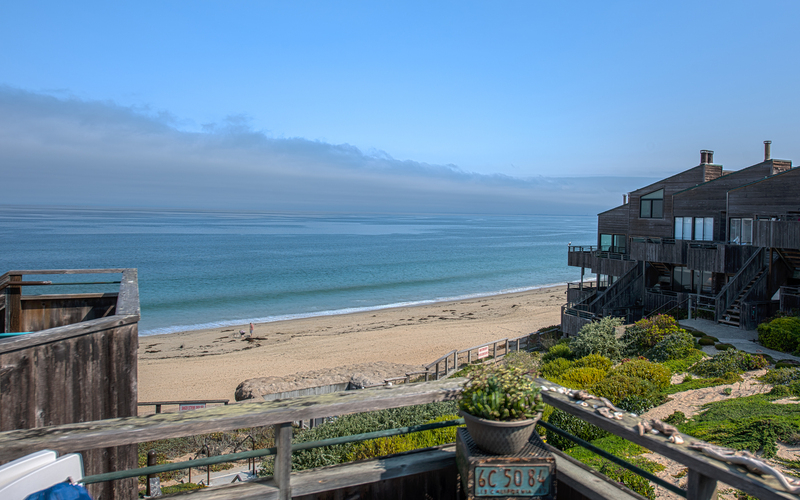 The location is fantastic, I love walking onto the balcony with a hot cup of coffee in hand and soaking in the cool salt air and exquisite view. Everything about this place is incredible, its tastefully decorated down to the smallest detail, immaculately clean, the towels and bathrobes are the softest I've used, and the beds are extremely comfortable - not to mention being lulled to sleep by the gentle sound of waves caressing the beach. Also the landscape is stunning - the paths leading to the beach are surrounded by lucious succulents and beautiful wildflowers which lend the perfect backdrop to the already gorgeous sights. 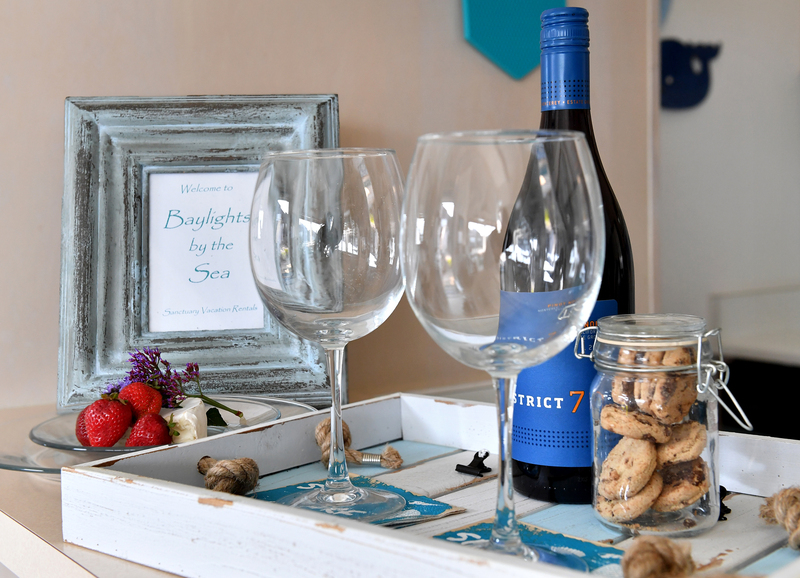 I can't say enough good things about this place - It is the perfect getaway and ensures relaxation and peace of mind, you won't ever want to leave!" Maximum occupancy - Condominium home sleeps up to 4 guests. Note: The bathroom is accessed via the bedroom and has a standing shower. **Please be aware that there is only parking for ONE vehicle inside the complex gates. A parking pass is provided and must be displayed on that vehicle. In addition, street parking may be available outside the gates but it is scanty at times. We recommend that our guests bring only one vehicle so they have a guaranteed parking space.